The best things in life come in fried form — chicken, potatoes, pickles, even desserts. 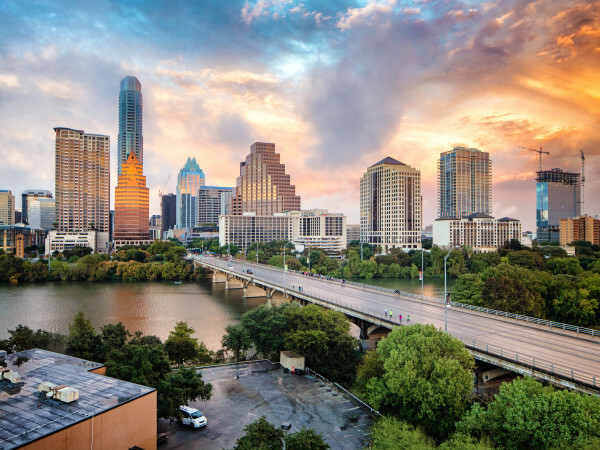 We've rounded up 12 of the best fried foods around Austin, from staples to surprising combinations. The fries at Salty Sow put all others to shame. 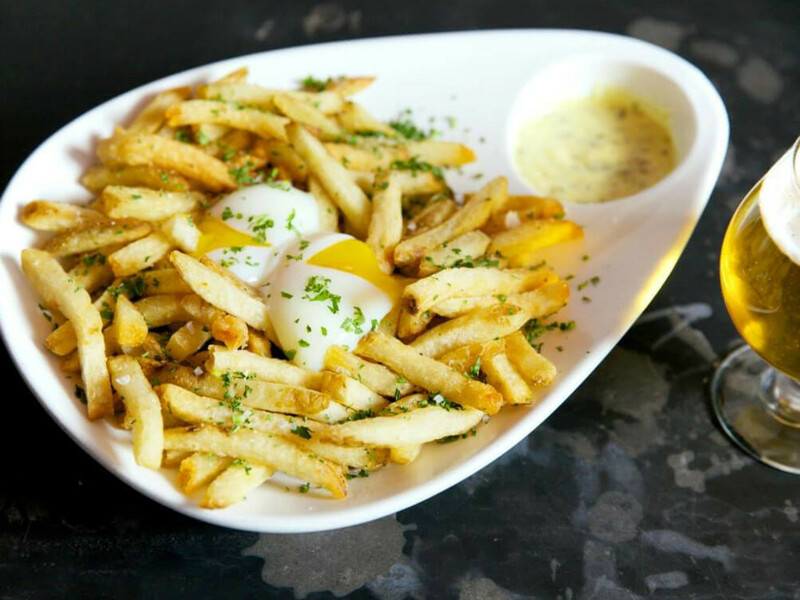 These babies are fried in duck fat and then topped with a creamy soft-boiled egg. Once you go duck fat, you never go back. 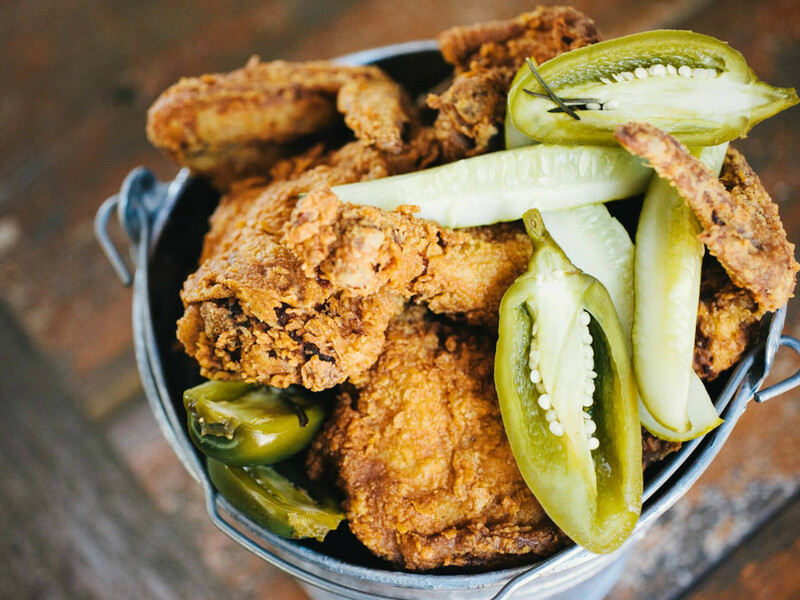 If you want fried chicken in Austin, you have to swing by Lucy's. At this laid-back joint, your fried chicken comes in a basket or chopped up chicken salad-style on a sandwich or on top of spaghetti. To start your meal, order the deep-fried deviled eggs. Hyde Park Bar & Grill dips its juicy beef cutlet in a tasty buttermilk treatment. Add cream gravy and mashed potatoes to this chicken-fried steak, and you have one hearty, Southern supper. Have you ever chowed down on Southern-fried pork chops? This dish from Hoover's hits the spot, and it comes with three equally tasty sides (we suggest making one of those fried okra). Nothing beats this Austin icon when it comes to battering and frying all things from the sea. All original dinner plates are "golden fried to order." Options include catfish, cod, shrimp, oysters, or all of the above. Pair your protein with two sides and your stomach (and heart) will be full. This South Austin diner has been serving up comfort favorites with a side of live music for years. Hill's onion rings have that classic taste and crunch. They also come as a side, so be sure to pick your entree wisely — there are more than enough fried options on the menu. If you love spice, then you'll love the fried pickles at this downtown hot spot. The spears come battered with buffalo sauce and served with both gorgonzola and hot sauce. 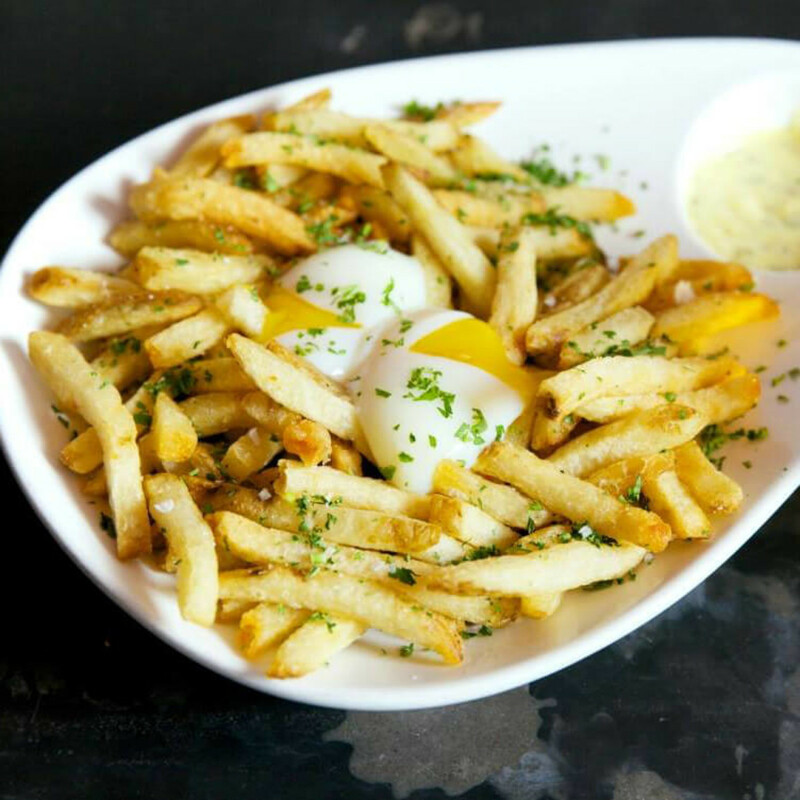 For a more classic take on fried pickle chips, head north to Workhorse Bar for a beer-battered delight. No need to trek to Wisconsin to sample fresh cheese curds. 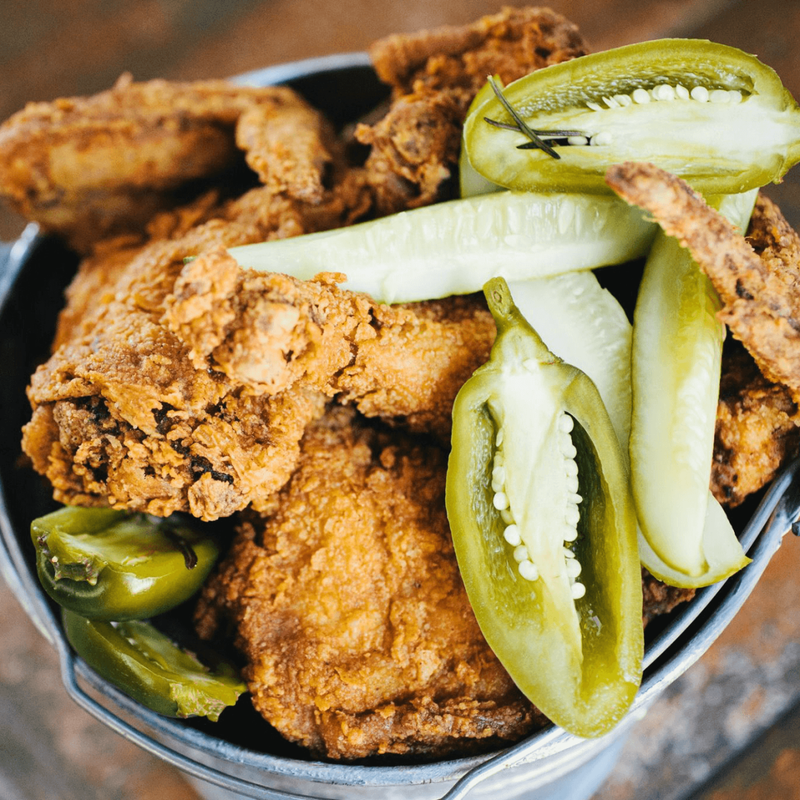 Black Sheep Lodge brings these bad boys straight from the Midwest to South Austin, slathered in a beer-battered coating. The Three Little Pigs dish from Lard Have Mercy will have you declaring just that. This next-level fried mac and cheese comes with bacon — and who doesn't love bacon? If you're still hungry, follow it up with the chicken-fried bacon snack, Porky's Revenge. 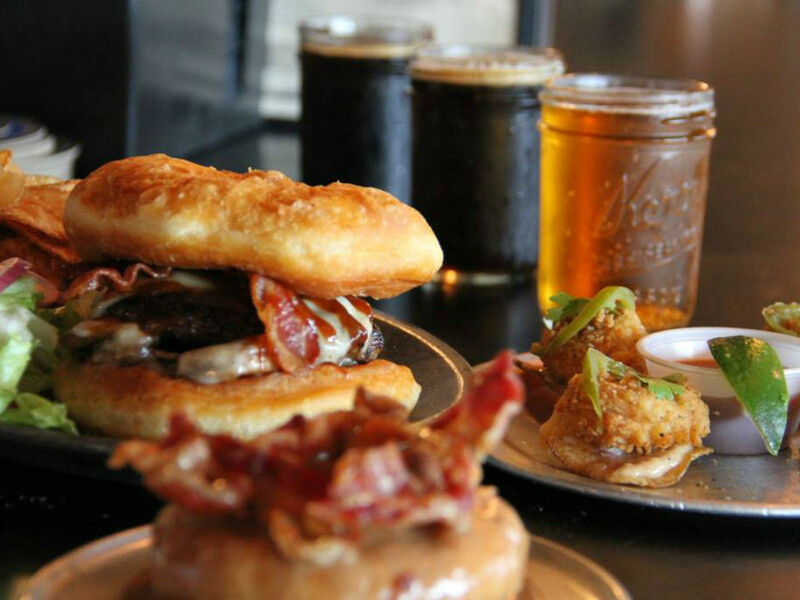 Take your doughnuts up a notch by slapping some Angus beef on them. 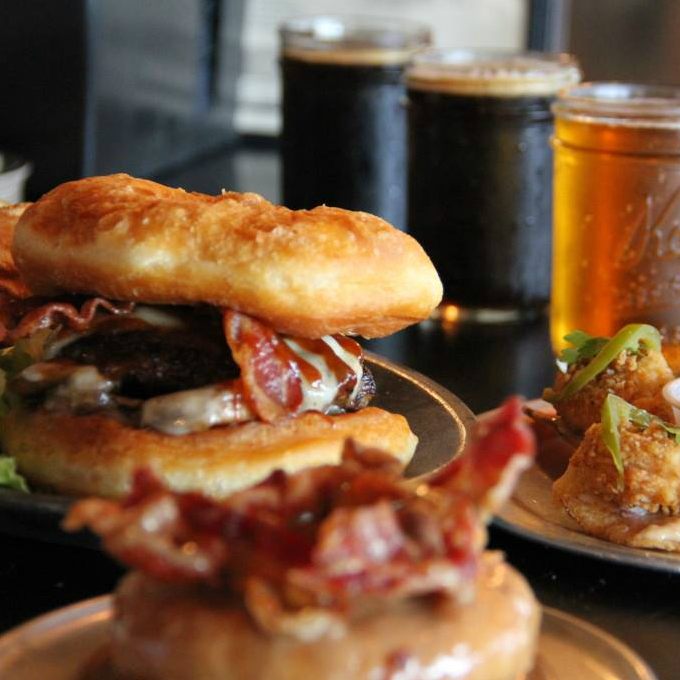 Gourdough's Public House offers a variety of heart-stopping doughnut burgers with a side of fried Yukon potato chips. Monte Cristo from Hey! ... You Gonna Eat or What? Even the sandwiches come fried here. The beloved food truck's take on a classic Monte Cristo features a Shiner Bock beer batter. Expect ham, turkey, cheese, and house-made jelly for dipping. Everything is fried at the appropriately named Fried and True. While the crispy green beans and the deep-fried peanut butter and jelly are both scrumptious, the dessert is where it's at. Save room for deep-fried Oreos, Twinkies, cinnamon rolls, and — drum roll, please — funnel cake.